Online gambling has faced a rocky history in the United States, but there’s nowhere it’s thriving more today than in New Jersey. In the early days of the internet, online gambling sites operated easily throughout the country. Later, poker sites thrived when the law made it difficult for online casino sites to do well. In 2011, the online poker sites were shut down as well. However, even before Black Friday (when the Department of Justice shut down the biggest online sites), legislation in some states was under way in an attempt to find a way to legalize online gambling. In 2010, legislators in Nevada and New Jersey began exploring the possibility of introducing legal, regulated online gambling in each of their states. In early January 2010, a bill was introduced to the Senate with the intention to pave the way for regulated online poker and casino games in New Jersey. The man responsible for the introduction was State Senator Raymond Lesniak, and the bill was S 3167. New Jersey finally passed legislation for online poker and casino games in 2013, and some sites went online. Others followed, and today NJ online gambling is a million-dollar industry which has generated 56 million dollars in tax revenues for the state. Of course, the details are much more complex. Here’s a history of NJ online gambling that fills in most of the gaps. The Supreme Court of the United States hears New Jersey’s challenge to PASPA, the federal law restricting legalized sports betting. Many experts believe that New Jersey will prevail and that the federal prohibitions on sports gambling will fall. A decision is expected before the end of summer 2018. Legal online gaming sites in the Garden State set a new yearly revenue record – with two whole months left to go in the year. The market continues to prove its strength and growth potential. Golden Nugget debuts a new live dealer game, Multiview Roulette, which is an immersive take on the old favorite. New Jersey welcomes two brand new, legal online casino sites: Scores and playMGM. Scores, of the eponymous gentleman’s club fame, operates under Pala’s license. Hard Rock buys the shuttered Trump Taj Mahal Casino from Carl Icahn and announces plans to remodel the property. It is now set to reopen in the summer of 2018. Betfair joins Golden Nugget in offering live dealer online casino games in New Jersey. As of January 2018, the two sites are still the only NJ gaming websites with live dealer games on the docket. TEN AC launches a social casino site in New Jersey. Was the launch of its land-based casino far behind? Answer: No. Legal NJ online gambling sites pass a new milepost: $500 million in revenue. Voters in New Jersey overwhelmingly votes against a plan to expand legal Garden State gambling beyond the borders of Atlantic City and into the northern part of the state. Supporters of the expansion initiative vow not to give up on the issue, and they haven’t. The Golden Nugget displays itself as an innovator again when it announces the introduction of live dealers at its online casino. The games that have live dealers are blackjack, roulette, and baccarat. 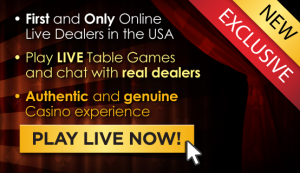 Live dealer table games can be accessed anytime between 5 p.m. and 1 a.m. eastern. The Golden Nugget enters into an agreement with Inspired Gaming to be the first US online casino to provide virtual reality sports to its patrons. Before the anticipated PokerStars launch, the company forged a content distribution deal with NetEnt. PokerStars debuts in NJ with a soft launch on March 17, and the consensus about the launch was positive. Later that week the official launch occurred with no issues. Borgata ends its partnership with bwin.party to switch over to Game Account Network and its new online poker software provided by Pala. Later in the month PokerStars announces its official launch date – March 21, 2016. The Golden Nugget Atlantic City launches an updated new casino software system. The AC casino partnered with NYX Gaming Group to do a complete overhaul of its online casino. Later that month, Resorts announced a partnership with online game provider NetEnt. Amaya announces that the NJDGE approved PokerStars to operate it NJ. The approval is credited to PokerStars’ relationship with Resorts AC. PokerStars was set to launch November 2015 but denied launch by the NJDGE. The NJDGE required PokerStars to meet the requirements of a transactional waiver and told the public that PokerStars would not be active until 2016. The New Jersey Division of Gaming Enforcement releases August’s official numbers. The report states that although online gaming profits were lower than anticipated, the industry still grew from the previous year. Connecticut tribal casino Mohegan Sun announces it is entering NJ online gambling. The casino had managed Resorts Atlantic City since 2012, so the deal between the two casinos was no surprise. Resorts Atlantic City becomes the fifth local casino to enter the NJ iGaming market. Initially, Resorts went live with strictly an online casino. Resorts had a relationship with online poker companies Full Tilt and PokerStars and was looking to find a way to partner with one of them. The New Jersey Division of Gaming Enforcement announces that for the prior three months, online gambling began to have a steady upswing of revenue. This upward turn happened despite a $1.5 million jackpot being hit at Betfair Casino. Betfair also severs its ties with Trump Entertainment but reaches an agreement with Caesars Entertainment to keep operating in New Jersey. Ultimate Gaming leaves New Jersey after it failed to capture the amount of traffic necessary to sustain its business, and issues with its land partner Trump Taj Mahal (Trump Entertainment) surfaced. Trump Entertainment hadn’t been paying Ultimate dividends and had filed bankruptcy. Wynn Resorts decides not to enter the New Jersey iGaming market after being approved for a license. Later that month, online gambling traffic numbers began to tank and remained that way until fall. An additional 50,000 accounts were created at NJ online gambling sites, and WSOP.com hosted its first ever online poker tournament within NJ. The New Jersey Online Championships had a ton of events and freerolls over a week-long period. All sites that were first approved by the NJDGE are running and fully functional. The NJDGE announces that the total number of online gambling accounts passed 100,000 persons. The soft launch happens with only minor issues and casinos got approval to launch fully in New Jersey. A list of NJDGE approved transactional waivers is released to the public. This list showed which casino partnerships had been officially approved; the public noticed PokerStars was not on that list. Later that week, PokerStars announced that it would not be part of the initial launch due to legal issues stemming from its original illegal operation in the United States. The soft launch for online casinos in New Jersey is announced by the NJDGE. The official soft launch date was Nov. 26, but later the date was changed to Nov. 21. A press release from the NJ Division of Gaming Enforcement (NJDGE), announces that 16 partnership casino company applications had been received. Here are some of the casino partnerships that applied: Caesars Entertainment/888, Golden Nugget/Bally’s Technologies, and Resorts/PokerStars. Caesars Entertainment begins the application process to obtain an NJ internet gaming license. The revised bill passes both the assembly and senate quickly. The new version of A2578 would be signed into law by Christie the same day. NJ was the third US state to legalize online gambling. Gov. Christie once again has issues with an online gambling bill. Christie vetoes the bill, and Lesniak goes to work making the requested changes. By late February the bill was adjusted in accordance with Christie’s suggestions. The NJ assembly passed Bill A2578 by 48-24, and then quickly moves onto the Senate where it was passed by the astonishing margin of 33-3. The bill doesn’t have the votes to be passed in the NJ Senate. Whelan and Lesniak decide not to push a vote and express concern for Christie’s support of the bill. Chris Christie changes his position on NJ online gambling. A new bill started by Sen. Lesniak attempts to cater to the concerns Christie had towards his original bill. The two bills with adjustments were Senate Bill S1565 and Assembly Bill A2579. The senate bill was sponsored by another proponent of NJ online gambling, Senator James Whelan. The United States Department of Justice alters their interpretation of the Wire Act. The decision concluded any event outside of sports betting is not protected under the Wire Act. All online poker in the United States is shut down, and the US Department of Justice indicted executives at the biggest online poker companies operating in the US. The amended bill made its way to Chris Christie, and despite bipartisan support, he vetoed the bill. Controversy surrounded Christie’s decision, and he was accused of vetoing it because of politically motivated reasons. Burzichelli’s bill passed the NJ Assembly, with added amendments from Lesniak’s bill. The vote was 63-11-3, and once passed, the bill moved on to the Senate. Lesniak’s bill passed the NJ Senate by a 29-5 margin.The bill had massive support and was the first of its kind to be passed in a United States legislature. The bill still needed to pass the state’s assembly before it could make it to Governor Chris Christie’s desk to be signed into law. The vote was scheduled for 2011. Within the first few months following Lesniak’s Senate bill, Assemblyman John Burzichelli introduced a separate NJ online gambling bill. Bill 2570, supported by iMEGA, proposed that all NJ residents could wager on any form of internet gambling. The bill also covered similar requirements for licensees as Lesniak’s senate bill. This companion bill wouldn’t be voted on by the Assembly until early 2011. Raymond Lesniak introduced Senate, No. 3167. The bill would permit Atlantic City casinos to operate internet casinos within the state of New Jersey. The bill required that potential licensees purchase a yearly license to operate, and all equipment used to gamble be located in New Jersey.